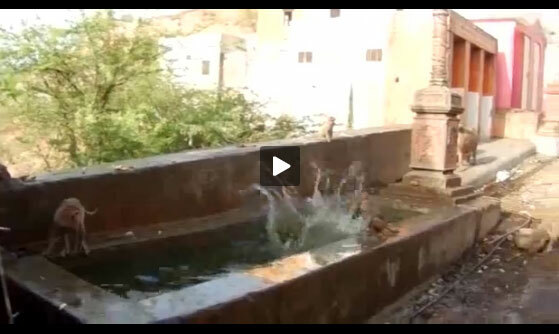 I just found this clip of what goes down at a fountain at the Sun Temple in Jaipur, India: awesome monkey pool parties. Here’s another video from High Beam, this time showing how to make Masala Chai, the Indian take on British tea. The recipe includes fresh ginger, ground cardamom, clove, cinnamon, orange pekoe tea, and an infectious, 60s-Bollywood soundtrack.